It is time to come for a lazy holiday in County Monaghan, Ireland, rent a good value Irish holday home in a landscape filled with wild flowers. Monaghan is one of the lesser known areas in Ireland and is a charming area for a tranquil country cottage holiday. Its rural lanes are edged with flower strewn borders, a real delight when out walking on holiday. Find a holiday home to rent and settle down for a relaxing self-catering break. County Monaghan is reputed to be a pristine area of Ireland, with lots of natural beauty - where else would you prefer to stay and unwind?. Activities available in Monaghan include walking, cycling, horse riding and fishing. Enjoy discovering the pretty town of Clones and the county town of Monaghan with its heritage trail. Monaghan should be a good choice for you if you are looking to take a self catering break in Ireland and want to do some fishing. There are opportunities for fishing in many lakes throughout the region. Favourite hotspots for anglers include Clones, Ballybay, Monaghan and Castleblaney. Monaghan should definately be attractive to anyone with a love of 'messing around by the river' on a country cottage holiday. The Irish borders have so very much to offer for self catering breaks. 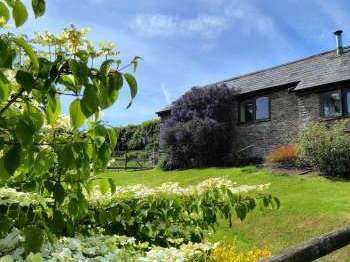 Enjoy browsing through the cottages available to rent for self catering holidays on Country Cottages Online. Check availability and up to date pricing with cottage owners or agencies. Remember to mention Country Cottages Online when phoning owners. We hope you find the ideal Irish cottage for you and have a wonderful time in beautiful Ireland. Sorry we have no country cottages or holiday lettings in Monaghan currently. We recommend that you take a look at cottage rentals in Ireland. Alternatively use our Search Assistant can help you to locate a suitable holiday cottage in Ireland. You may also want to take a look at available Ireland?